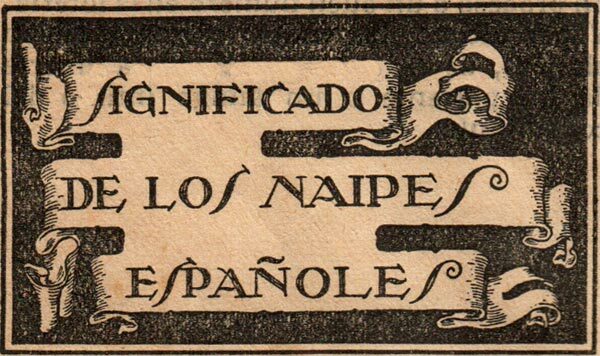 Published by Vigor S.R.L., Tejedor 244-256, Bs Aires in the 1950s (formerly by Igor Domicelj), and then successive editions into the 1960s. 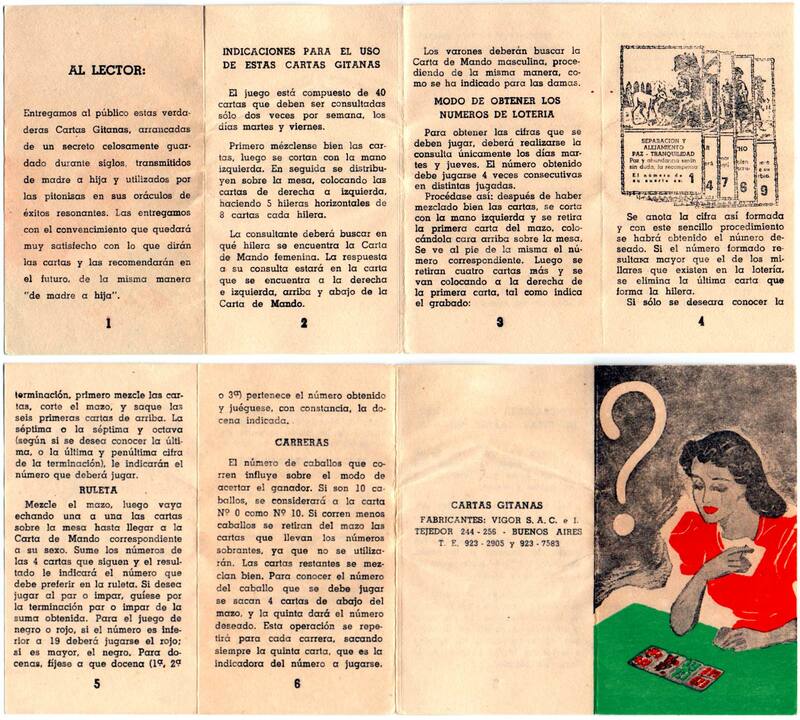 40 cards + instruction leaflet in box. 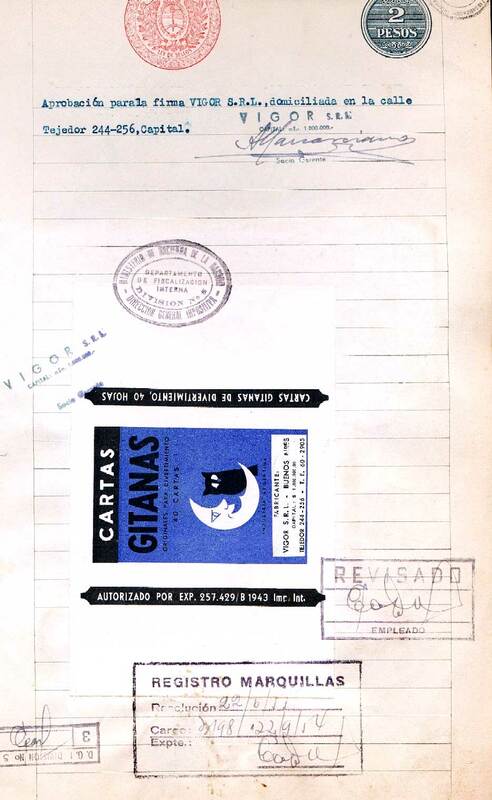 The Patent Office Registration documents, dated 22nd June 1955, show the original designs at the time of the take-over, with the new company name overwritten. 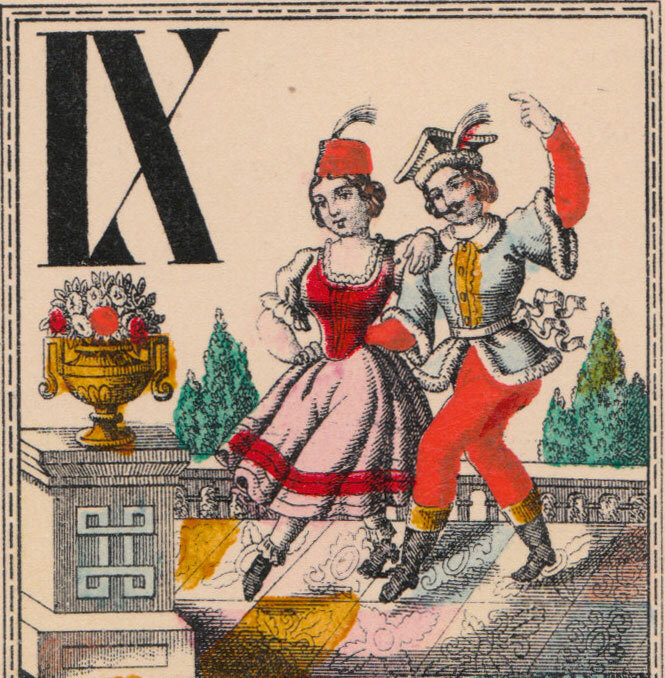 The deck is presented as an ancient gypsy oracle, however, the designs are largely taken from nineteenth century Austrian "Rural Scenes" Tarock cards, which were not designed for fortune-telling. 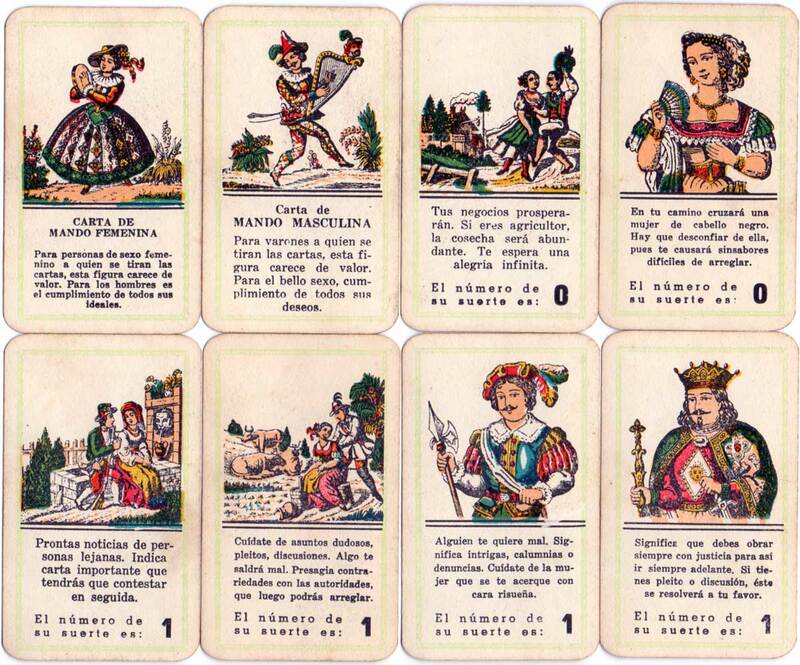 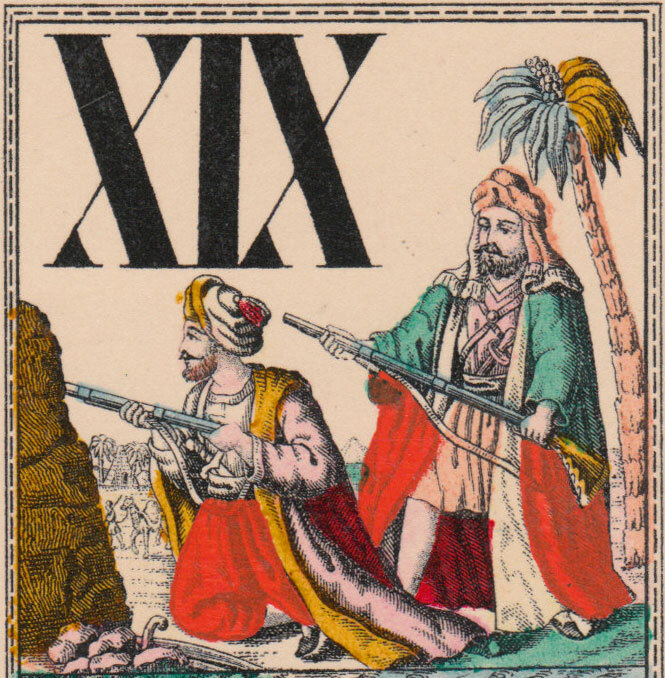 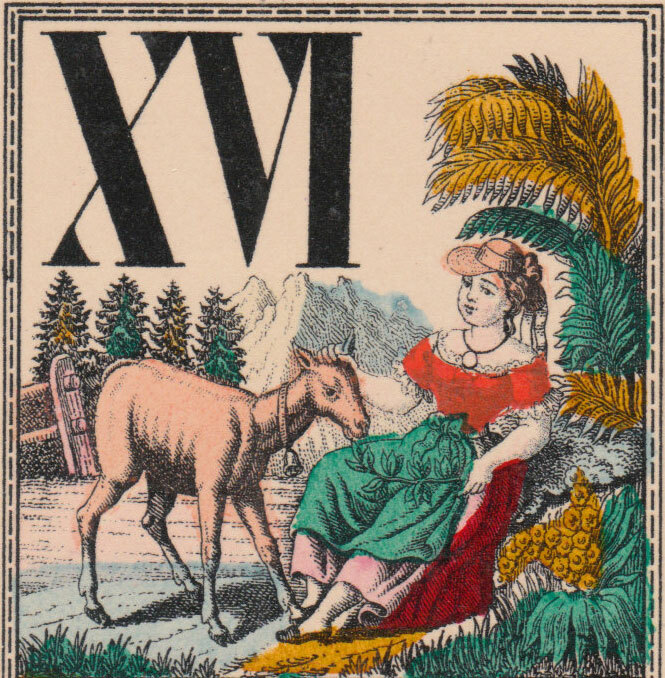 Above: the designs on the top halves of the Cartas Gitanas are based on nineteenth century Austrian "Rural Scenes" Tarock cards (shown below). 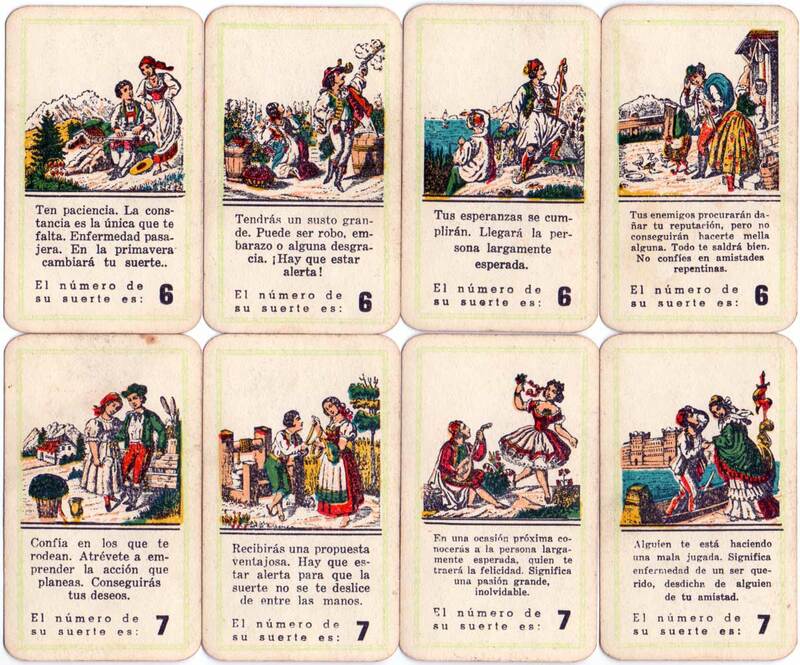 Scenes include musicians, horsemen, couples, courtships as well as rural or exotic scenes. 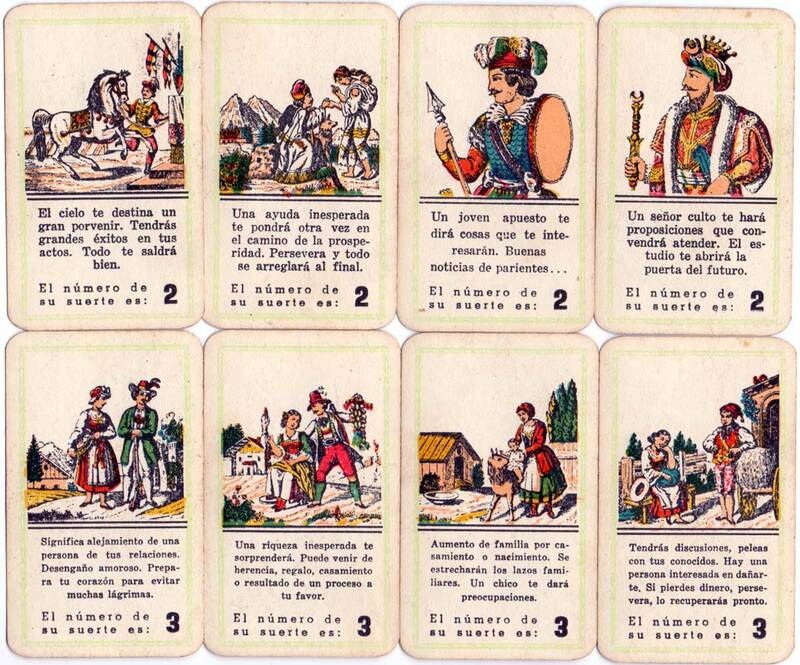 The court and 'consultant' cards are also derived from the Austrian prototypes. 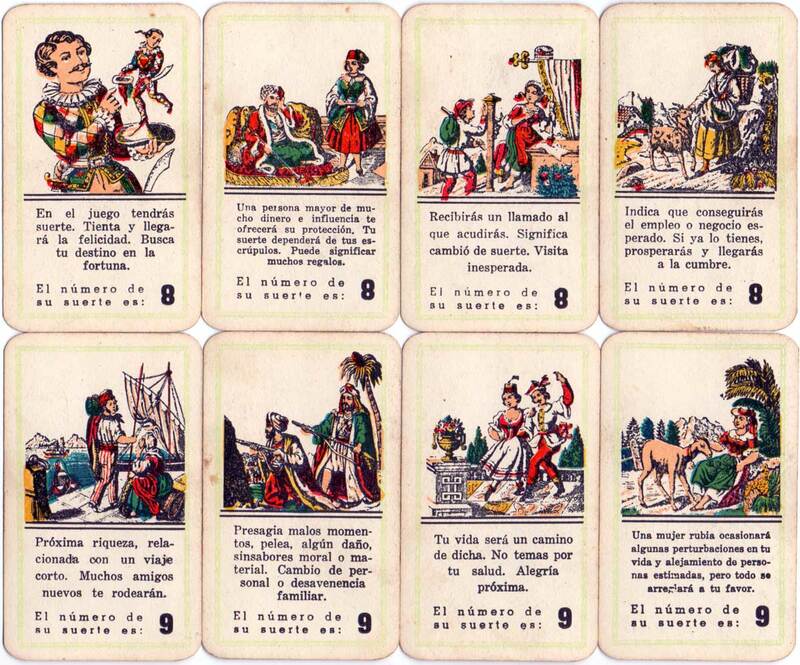 Below: instruction leaflet, inner wrapper and box showing various symbols alluding to luck, fate and hidden wisdom disclosed through cartomancy. 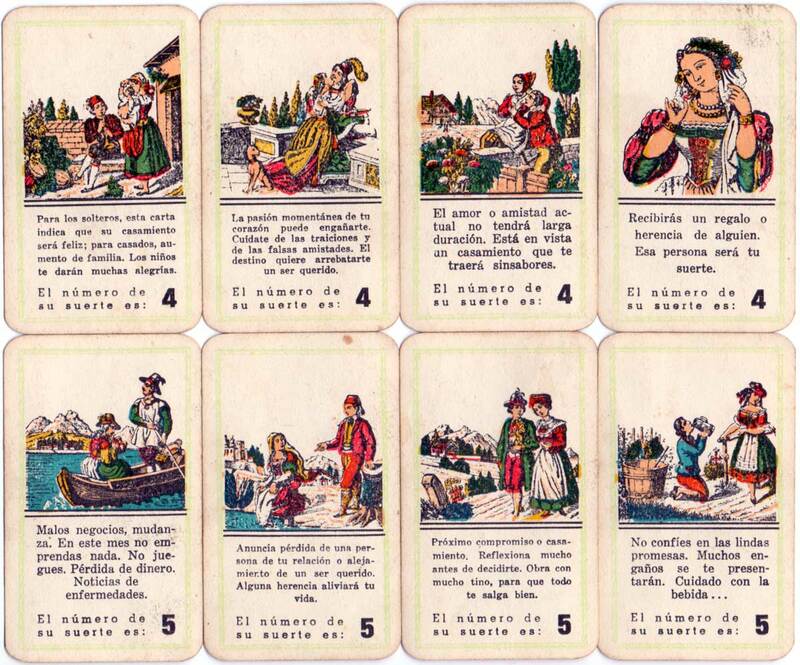 The leaflet informs that these cards had been a jealously guarded secret amongst fortune-tellers for centuries, handed down from mother to daughter, but are now being made available to the public. 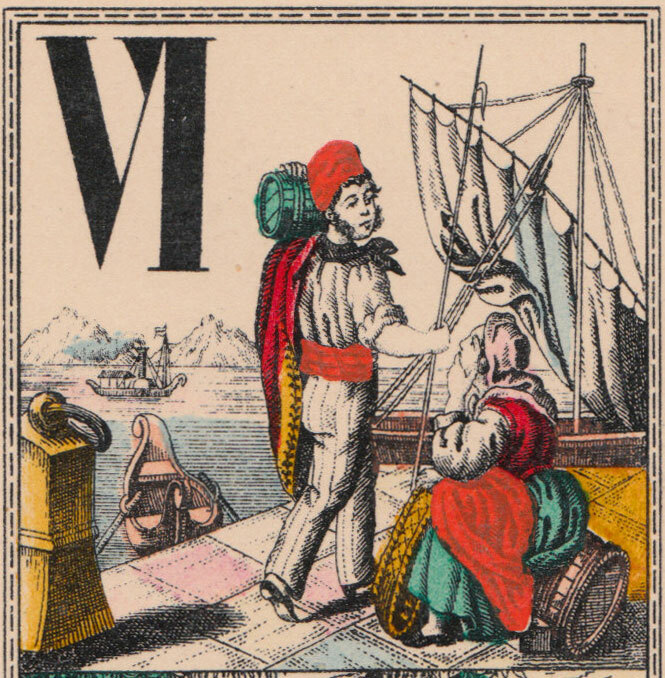 Instructions are given in the leaflet for reading the cards, as well as how to select winning lottery numbers, roulette stakes or horse races.